Zephyr (sail): Tony Boatie Sr.
A while ago I signed up for regular emails from "The Log" which bills itself as, "SoCal's #1 Boating and Fishing Newspaper." No arguments there. On a business trip to Anaheim for an industry conference I took a side trip to Newport Beach one afternoon into the evening and after a swim and fish tacos chased by some Red Nectar lagers I strolled around Newport Harbor and admired the boat...particualrly the sailing ones docked at the Balboa Yacht Club. It was there that I procured a copy of "The Log" which made it home with me and resulted in the aformentioned email newsletter subscription. All of this is a long winded way to point you towards this article in The Log about liveaboard Tony Cellenti, who's been sleeping on the bottom bunk of his 30-foot boat in Sunset Aquatic Marina for more than 30 years. 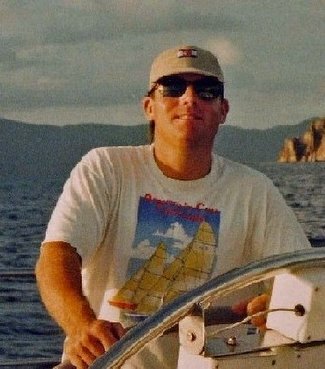 Tony's story reminded me about the importance the broader liveaboard community to boating. They are in some ways our "canaries in the coal mine" the changes that now impact all boaters...the rising cost of fuel, crowded waterways, pollution, overpriced marinas...hit these folks first and often hardest yet they persist. Tony Boatie Sr. may not be a sailor, but he's all right with me.